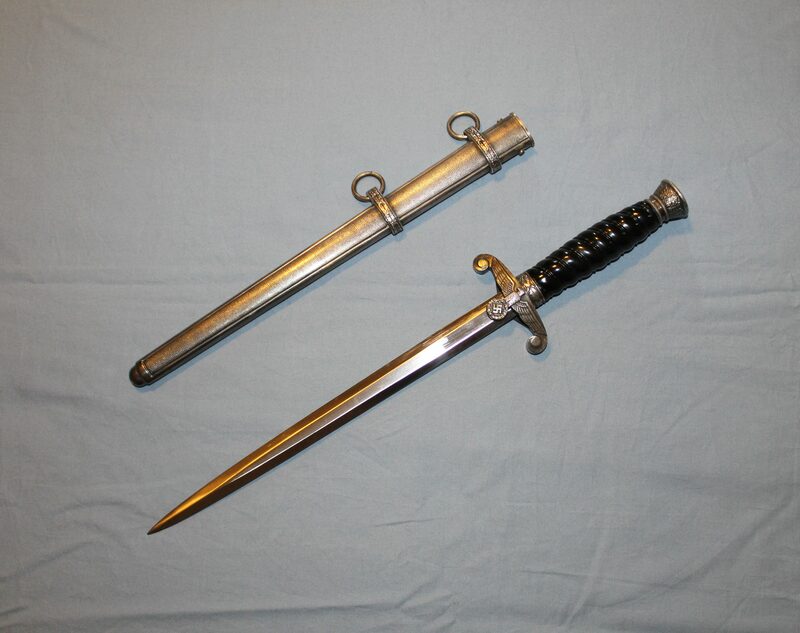 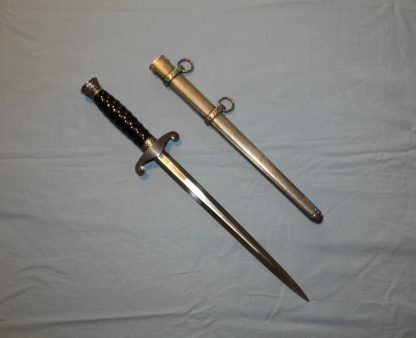 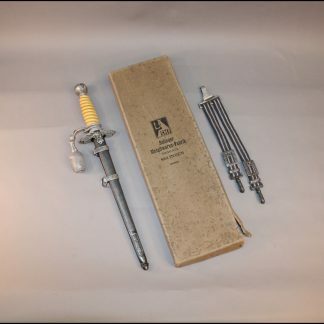 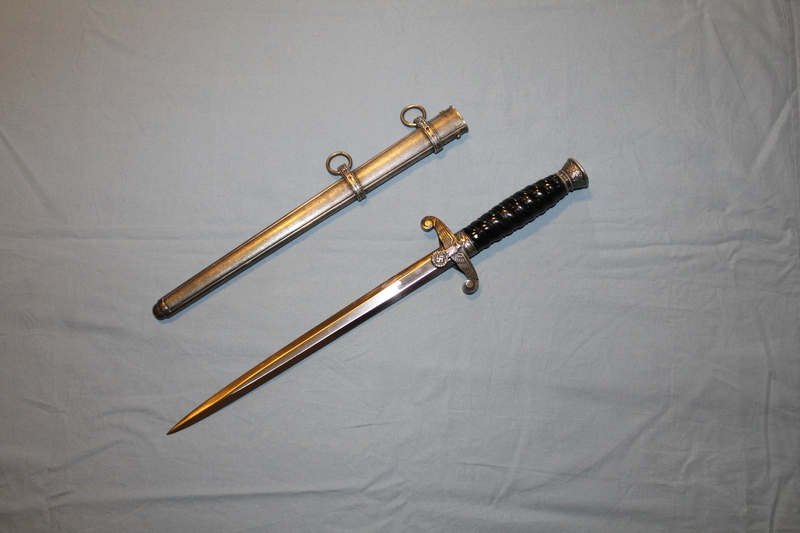 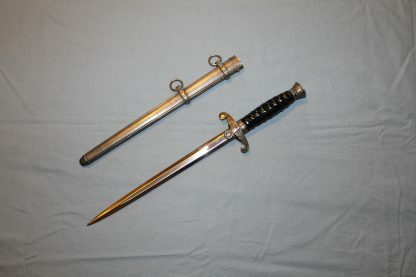 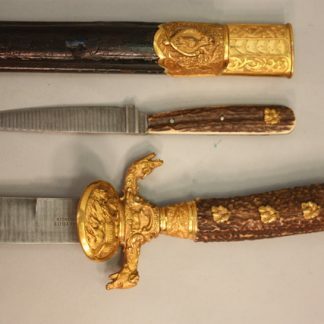 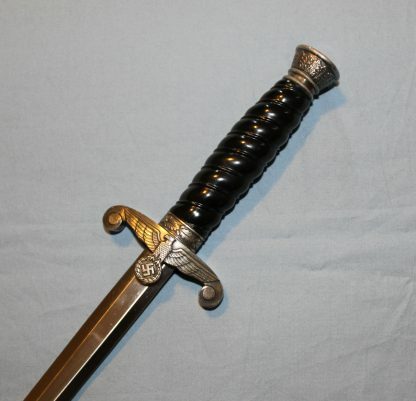 First Pattern Railway Dagger Robert Klass – Military Collectibles, Inc. 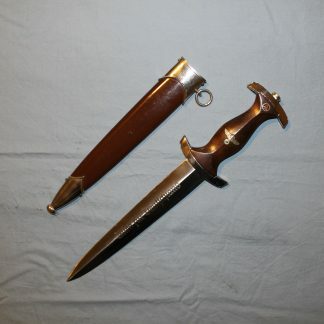 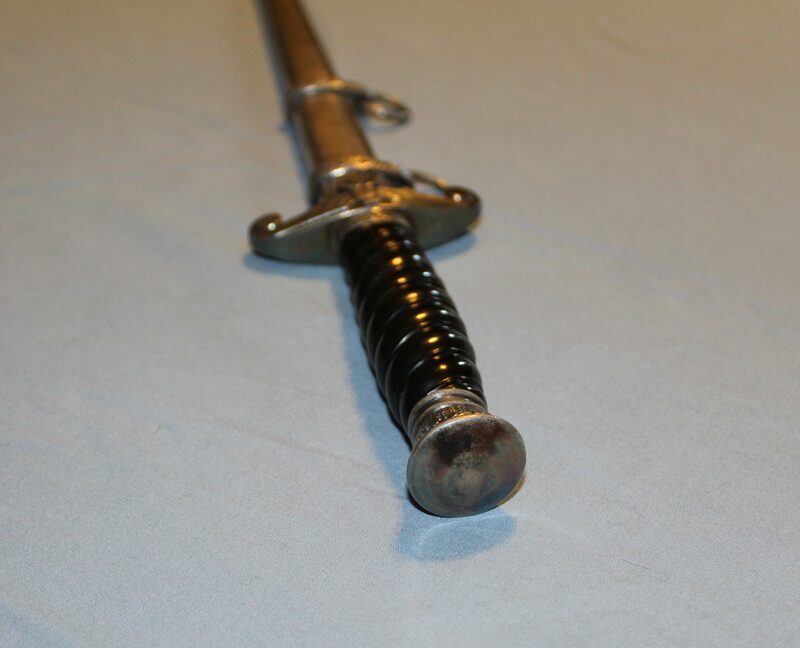 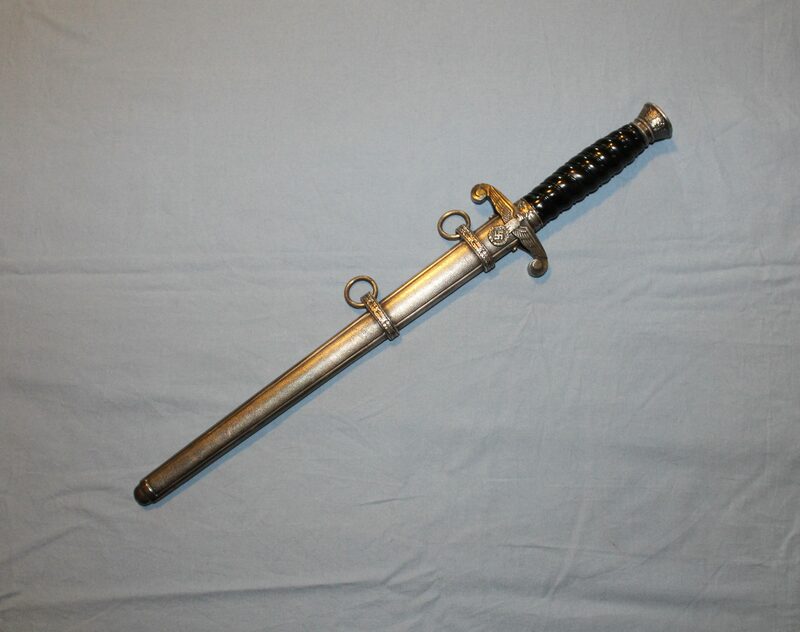 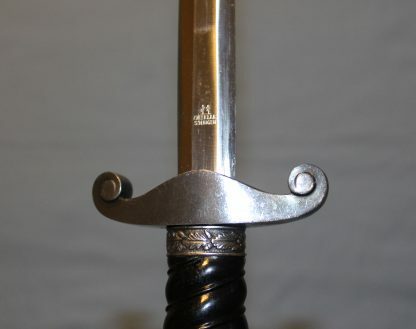 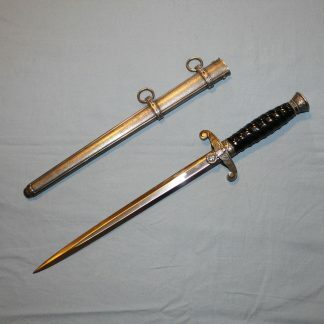 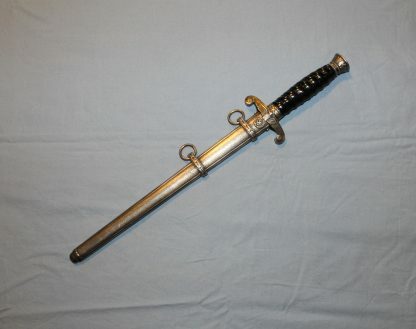 This is a very rare and also an exceptionally clean example of an early first pattern Railway dagger. 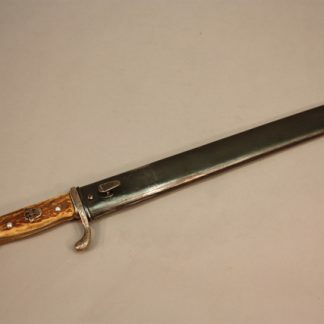 It has the proper long thinner grip with the cut out step to accommodate the shoulder of the blade. The blade itself is stone mint with all cross graining to the tip. 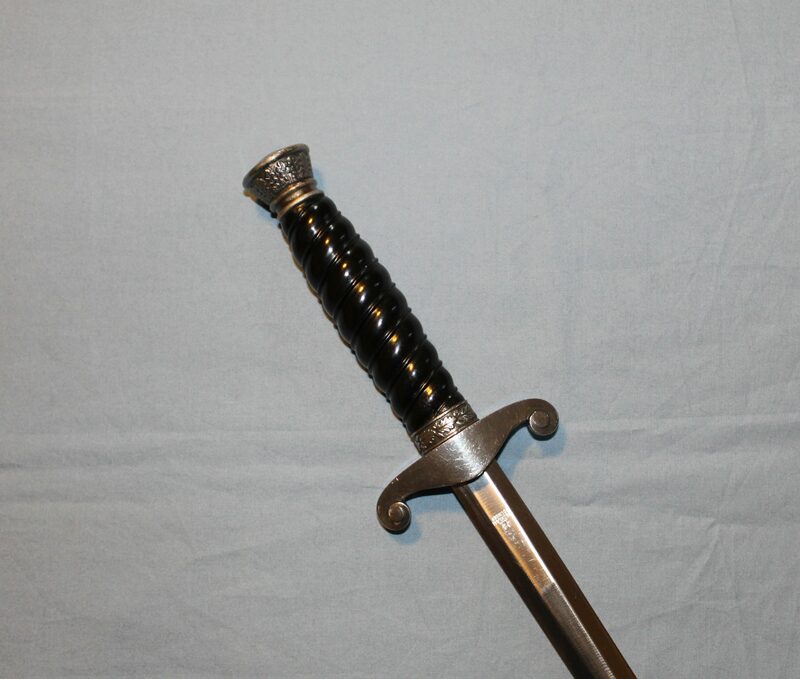 The grip is perfect and the fittings are toned very nice and fit together perfect. Very rare dagger to add to any collection.